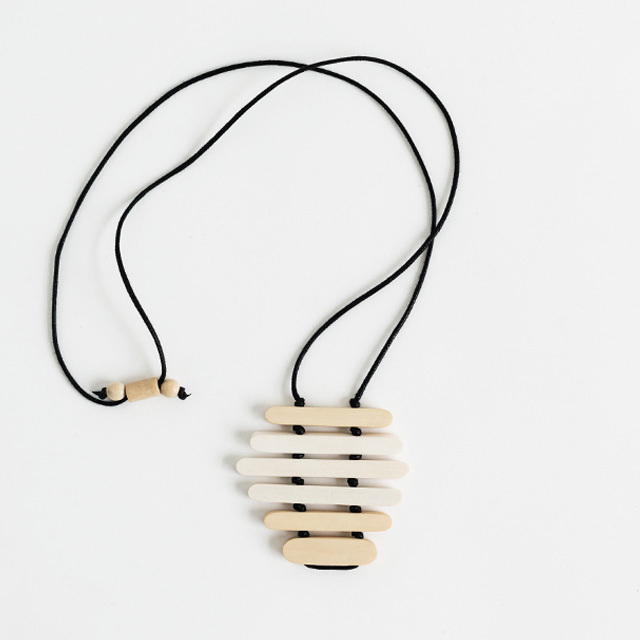 This necklace is handmade from beautiful wood. Each part of the necklace is cut and sanded to a smooth matte finish. With an adjustable toggle the necklace can be worn long or short. Materials: Natural lightwood, dyed lightwood and waxed cotton cord. Making: The wood is cut and then sanded to a beautiful finish. Hand dyed and finally strung together on wax coated cotton cord.